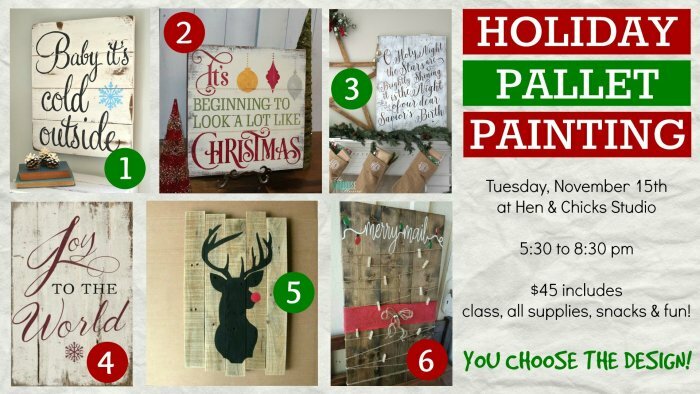 Join us for a NEW class at Hen & Chicks Studio -- Holiday Pallet Painting! Hen & Chicks Studio -- Holiday Pallet Painting! Choose from 1 of 6 preselected designs & get ready for a fun night with Denise Hoy. Sign up here!